Pink Mountaintops has partnered with French lifestyle site APRIL 77 for a limited-edition 7″ titled Asleep With An Angel. It features two exclusive songs, and only 250 copies of the pink splattered vinyl are available for purchase through April 77’s store. The tracks are also available digitally now via iTunes. Listen to the excellent A side below. 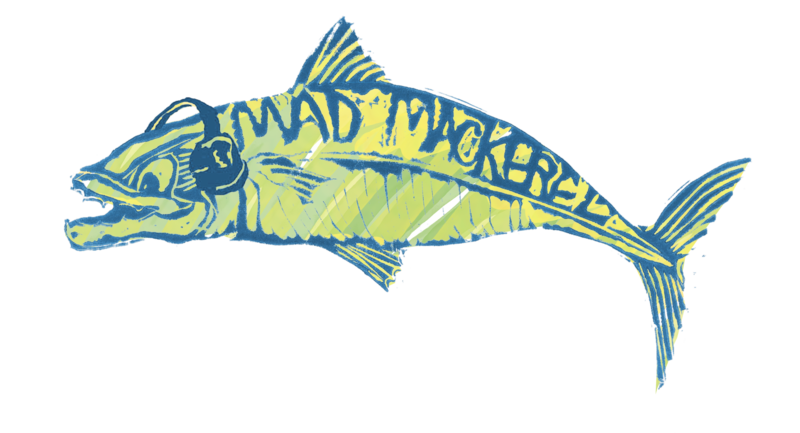 And so we bring our round up of favourite songs, albums, covers, and guilty pleasures to a close with the final “best of” post, Mad Mackerel’s own top twenty. Percy kicks off with pulsating, tribal percussion that doesn’t quit throughout the song’s entire four and half minutes. It is like a small child in a sweet shop relentlessly pummelling you into submission until there is nothing left to do but give in. Then once you have you realise this was by far the best course of action anyway – the most infectious rhythm of the year. Resistance is futile. Dogs is unashamedly, perhaps deliberately, cringingly frank and revealing. No-one sings more conversationally than Mark Kozelek, but it is exactly the lack of sentiment and judgement in this song that gives it such impact. A deadpan tale of sexual fumblings and failures mixed with an all too accurate recollection of our self obsessed teenage selves gives the song a wincing recognition for every listener’s own emotions that makes listening to it almost too painful. In my head this is a follow up to Hendrix’s classic Hey Joe. Except my head has been split in two by the sheer brutal, pneumatic force of this song, a snarling, distorted beast of a tune that is as brilliantly grim and unforgiving as the title suggests. Am I the only one who thinks the Dream Police are a far more enjoyable listen than alter-egos The Men? Ducking And Dodging boasts the catchiest punk riff since, oh I don’t know, Stoned And Starving perhaps. Yet this time it comes with extra ingredients, a little added anger and a whole cauldron full of world weariness and frustration giving their take on a traditional tune a fiery new incarnation and showing once and for all that they were always far, far more than simple Velvets or Pavement disciples. Houndmouth announced their return with this sublime slice of surreal Americana. More obtuse than before, it boasted the best opening verse of any song we heard this year, then over a deceptively simple strummed guitar line, Matt Myers travels from resignation to bitterness and ultimately acceptance. For No One is a sparse, poignant ballad that is as close to perfection as you’re likely to hear. Metallic Cloud seems packed full of meaning, overflowing with imagery and allusion and cloaked in layers and layers of mystery. Curiously it feels to me like a companion piece to Neil Young’s After The Goldrush, and I can’t really think of a higher compliment than that. The first song to reduce me to tears this year, in tandem with the red wine mind you. Surreal, obscene, freaky, offensive, lewd. Repulsive, coarse, vulgar, gross and rude. But unquestionably, undeniably, uniformly brilliant. This was the sound of rock’n’roll updated for the here and now. Sometimes the simplest things are the best. Water Liars delivered an exceptional album this year, and this is an undoubted highlight, a melancholy story of searching and loss, of heroin and girls with stutters, of cowardice and looking death in the face. There is no one, but no one, who does this stuff as well as the Water Liars and why they aren’t massive is a source of constant bemusement to me. “I’m gonna show you if it takes all night, We’re staying here till you get it right, It’s been three whole days with no end in sight“, so opens the year’s most chilling, and thrilling, song. An irresistible mix of primeval rock’n’roll, trashcan punk and swampy voodoo blues provides the most exquisitely perfect soundtrack for Dale Barclay’s unhinged protagonist. Here are our favourite twenty albums of 2014. Don’t forget to check out numbers 40 – 21 here. Pink Mountaintops’ brilliant Get Back is one of our favourite records of the year and the band have released a new video for album track Shakedown. It tells the story of a not-so-typical commute through Los Angeles. The video floats through a headphone fueled dreamland full of arcade video games, roller skating, mixed drinks and kiddie pools. It stars Mandy-Lyn Antoniou and features a guest appearance by J. Mascis. The first two tracks shared from the forthcoming Pink Mountaintops album Get Back are undoubtedly two of our favourite tracks of the year so far. So we are delighted to be sharing a third with you, the electrifying punky stomper, The Second Summer Of Love. We have loved the first two tracks, the fabulously filthy North Hollywood Microwaves and pummelling riffage of Ambulance City, shared from the forthcoming Pink Mountaintops album Get Back. Here is the official video for the latter. Brilliant stuff.